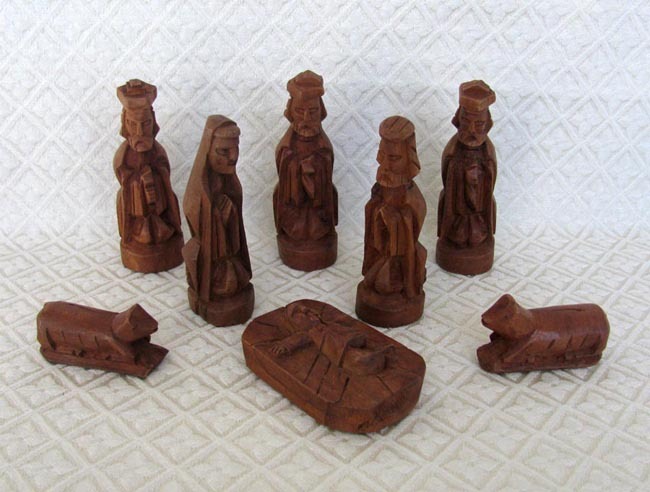 This Nativity was hand-carved from wood in Brazil. It was made in 1993 and purchased in a shop where artisans sell their wares in Rio de Janeiro. The shop sells Nativity sets and other artisan-made items. The set includes Joseph, Mary, baby Jesus, two sheep, and three wise men. The figures are 4 inches tall.